At around 6:30 PM (UTC) yesterday, Bitcoin (BTC) was comfortably valued at $6,124 and enjoying some stability. Less than 12 hours later at 5:30 AM (UTC) today, Bitcoin was valued at $5,835. This is a drop in value of 4.6% in the mentioned time period. The total crypto-market capitalization also suffered a similar blow during the same time period. The total market cap was at $246.7 Billion as of 6.30 PM yesterday. That value had dropped to $232.8 Billion by 5:30 AM this morning. This is a drop in value of 5.6% in the said time period. Looking back at the wonderful crypto market cap levels of early January, the total crypto market capitalization back then was at $835 Billion. This in turn means that the current market cap levels are 28% those of January. The crypto markets have lost two thirds of their value in a period of 6 months. However, the dominance of Bitcoin (BTC) in the crypto markets today is now at almost 43%. This is a big difference from its dominance in January when this figure stood at 32%. This can only mean two things. Firstly, during times of market turmoil, traders prefer to HODL Bitcoin. Another theory could be that the crypto traders who have completely cashed out from crypto, had invested in alt-coins rather than BTC. So what exactly happened this morning? 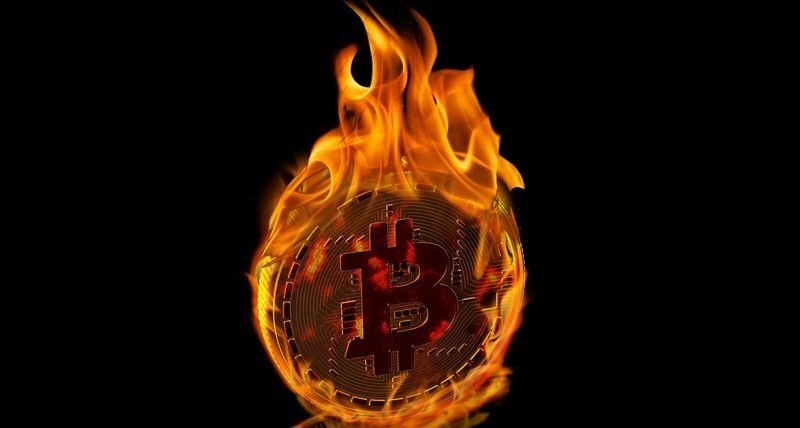 [Bitcoin] Trading terminates at 4:00 p.m. London time on the last Friday of the contract month. If that day is not a business day in both the UK and the US, trading terminates on the preceding day that is a business day for both the UK and the US. This means that trading of BTC Contracts will terminate today at 4 PM, London time or at 3 PM UTC. This could be a plausible explanation as to why the price of Bitcoin suddenly dipped this morning. The next question now is, was there BTC manipulation today so that some BTC futures can be redeemed at a profit?